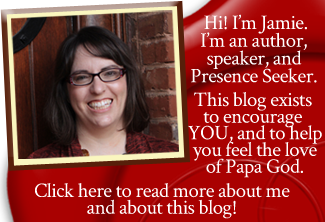 Do you want to govern in the spirit realm? Do you want to change the destiny of your family, friends, church, and nation? If so, the way to do that is through intercession. Intercession is for EVERY Christian. That means YOU can intercede, and you can do so with power. YOU can govern in the spirit realm. YOU can rewrite the destiny of your marriage, your children, your family, your church, and your nation. YOU can minister directly to Jesus in the secret place of the Most High. YOU can become more like Jesus than you’ve ever been before. YOU can walk before God and get what you want with a right heart and right motives when you intercede rightly. Because intercession is for YOU. I taught a 3-week class series on intercession recently. How to have the right heart motives so you can intercede with power and always win. And this message is going to bless you. 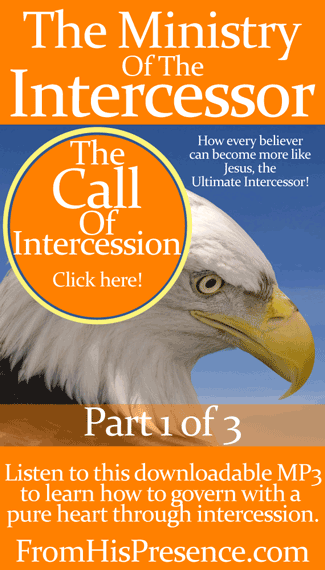 If you have never interceded before, but you want to start now, this message is for you. It will start you off right, in the power of the Holy Spirit. If you’ve tried interceding before but haven’t had much success at it, this message is for you. It will draw you into the very heart of intercession, which is passion for Jesus. It will help you begin again with the holy mindset that will ensure your success. If you’re an experienced intercessor, this message is for you too. It will refuel your fire. It will draw your eyes back to Jesus in a more powerful way than ever before. It will renew your faith and your sense of calling. It will restore your passion if you’re tired. So basically, no matter who or where you are in your Christian walk, THIS MESSAGE IS FOR YOU. It’s 38 minutes, and it’s instantly downloadable. I believe it’s going to bless your socks off. Are you ready to take your walk with God to another level? If so, click the button below and start (or refire) your ministry of intercession today!